Cloudy with rain developing this afternoon. Thunder possible. High 57F. Winds W at 10 to 15 mph. Chance of rain 70%..
Isolated thunderstorms this evening, then skies turning mostly clear after midnight. Low near 40F. Winds W at 10 to 20 mph. Chance of rain 30%. 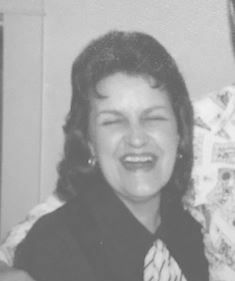 Helen Marie (Standish) Hartung, born in 1934, died on Friday, August 3rd of respiratory failure. Helen leaves behind her grieving daughter, Shelley, and her broken-hearted husband of 65 years, Chuck. Also surviving are her two brothers, Fred and Jon, whom she loved so much. A memorial gathering to remember and celebrate the life of this smart and talented woman will be held at Mayflower Church, 2940 Poly Drive, in the Fellowship Room, at 3 p.m., on August 16th. Please join us if you can. Many, many thanks to the caregivers at Synergy (Loreina and Angela in particular) and the team members and nurses at Compassus, especially Pam Brown. You are angels, and you helped Helen die as she wished, at home with her husband and daughter by her side.